Adsorption in activated carbon is an important tool for water purification. It applies especially to dissolved organic substances which are responsible for taste or odor, or may actually be of an irritating or poisonous nature. Also, activated charcoal removes some substances by catalytic reaction (chlorine, for example). Activated carbon also removes certain types of particulate matter by mechanical filtration action, and some substances such as a suspension of an organic vapor by a combination of filtration and adsorption means. The capacity of activated carbon to remove specific substances and mixtures depends on the nature of the specific chemical compounds, their concentration, conditions of adsorption, such as temperature, pressure, contact time, etc., and how the activated carbon is applied to the problem. 0 - Not a logical use for activated carbon. 1 - Category too broad and non-specific, need more information. 2 - Possibility. Suggest making laboratory and pilot tests. Success may be a matter of definition. 3 - Might be an application, either alone or in combination with other treatment methods. 4 - May be good solution, but special conditions apply, or activated carbon can serve as one step in total treatment. may not be a complete solution in itself. 5 - Fair application, removed to some degree by activated carbon. Good application, but requires definition of results to be obtained. 6 - Definite application for activated carbon under some conditions. 7 - Good application, removed in satisfactory quantity by activated carbon. 8 - Excellent application, removed in high quantity by activated carbon. 9 - Proven use, probably best solution. Since the above mentioned factors exert considerable control over capacity, it must be borne in mind that the figures given in the table are for general guidance only. The specific case should be tested on laboratory and pilot scale if it is a new application. 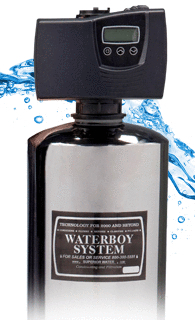 Whole House Water Filter Systems.